The Rev. George "Tink" Tinker visits Cotanchobee Fort Brooke Park on the Riverwalk in Tampa, Fla. Tinker will keynote an "Act of Repentance and Healing for Indigenous Persons," during the 2012 United Methodist General Conference a few blocks away at the Tampa Convention Center. Behind Tinker is a ceremonial space honoring indigenous people by artist Bob Haozous. A UMNS photo by Mike DuBose. TAMPA, Fla. (UMNS) Behind the Tampa Convention Center, a small historical plaque tells of a glorious 50-foot-high mound constructed by native peoples; the mound may have been present even before the time of Christ. The mound sat there, of course, before the concrete, the steel and the expressway. The Rev. George E. "Tink" Tinker says it was one of thousands of such mounds that dotted the native landscape as far west as the Ohio Valley and as far north as Canada. All but a few have been destroyed, he adds, taking their history with them. "Wherever you go (in the United States), you'll see markers commemorating what used to be before the Indians were killed," he says matter-of-factly. Tinker is the keynote speaker for a special worship service at the 2012 United Methodist General Conference. Set for 7:30 p.m. April 27 in the convention center, the service marks the denomination's "Act of Repentance to Indigenous Peoples." A citizen of the Osage Nation and an American Indian activist, Tinker has served on an advisory council for the development of the Act of Repentance since 2008. The United Methodist Commission on Christian Unity and Interreligious Concerns has responsibility for the act, aimed at beginning a healing process with indigenous people around the world. 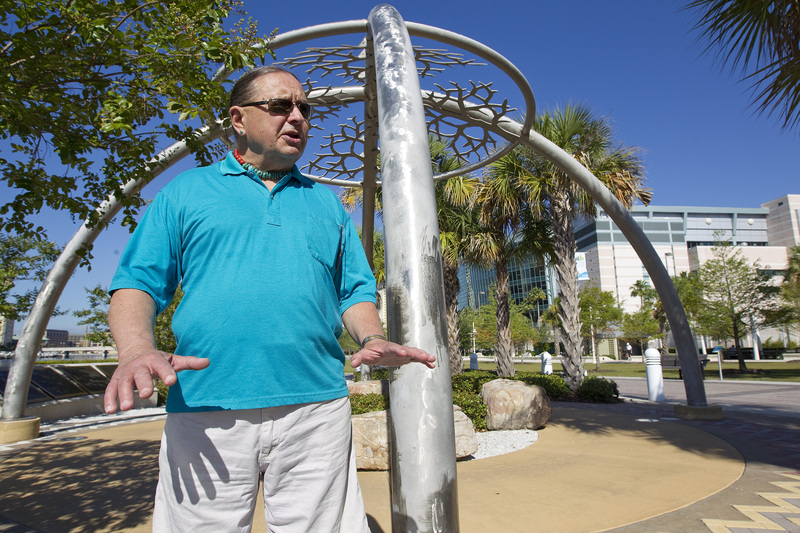 A memorial across from the Tampa History Center has been established by the City of Tampa and the Seminole Tribe of Florida, dedicated "In Remembrance of the Seminole Wars of Florida" - a hint at just how difficult the process of reconciliation may be. The memorial's series of plaques detail the violent removal of the native people who once lived here and Tinker reads them with a different set of eyes than the average tourist. "The (Indian) population numbers are always minimized," he points out, noting that Florida was a rich and fertile land, offering sustenance through fishing, planting and game hunting. "This place would have supported tens of thousands of native people." The memorial describes the three Seminole Wars, from 1817-1858, as a "clash of cultures," but Tinker, a professor at United Methodist-related Iliff School of Theology in Denver, considers the wars an invasion of native land under the banner of American exceptionalism. This was not merely a battle between warriors - civilian populations were also targeted. Andrew Jackson's slash-and-burn forays into Florida's native villages and farmlands had the effect of killing people by "destroying their ability to continue their life through the next season," he explains. All of this was done in the Christian name, with war-making technology developed in Europe, Tinker points out. Eventually, the U.S. government's Indian Removal Act forced Indians from the East, South and even the West, onto overcrowded lands in Oklahoma, beginning an economic spiral that has kept generations in poverty. "The people here in Florida fought really hard and long, with a great deal of courage, to hold onto their land," Tinker says. A small number succeeded, remaining in the Everglades. He questions what the Act of Repentance will accomplish, beyond possibly assuaging the denomination's collective guilt about its historic treatment of native peoples. "Ideally, it results in some action that begins a process of healing of Methodists and Indians," he says. Real justice, Tinker believes, can only occur through the return of lands taken from Native Americans in violation of U.S. treaties. "The church is squatting on Indian land," he says. "So are a lot of Methodists."